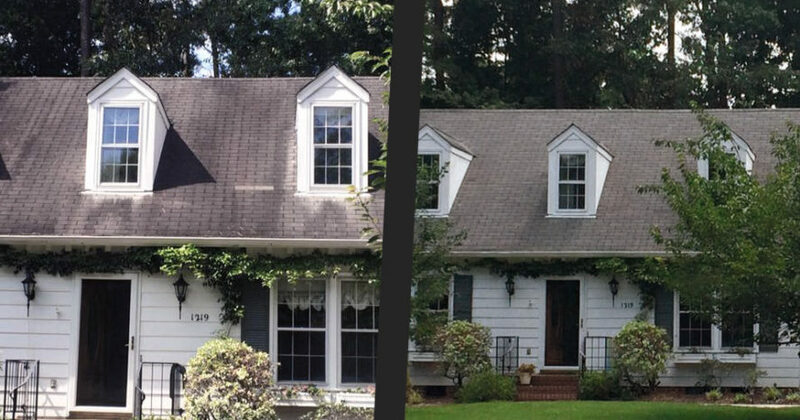 ​Many homeowners waste thousands to fix this problem: black streaks and green moss on your shingle roof look awful! This is actually an Algae growth called Gloeocapsa Magma. It eats the limestone filler in your roof shingles, absorbs moisture, prevents the shingles from drying and drastically shortens the lifespan of your roof! 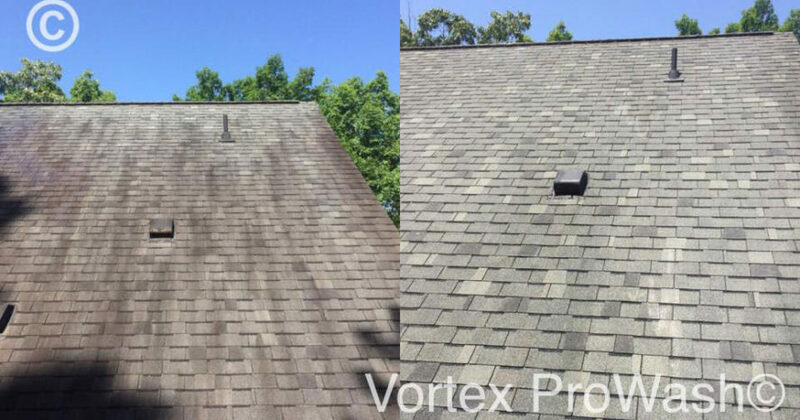 Our exclusive Low-Pressure Soft Wash Roof Cleaning process begins with an application of Algaecide to the roof, killing and neutralizing the unsightly algae. Then, a second application ensures that it is 100 percent eliminated. Each application contains a special additive to inhibit future growth and keep your roof looking newer for longer. Roof cleaning is just a fraction of the cost of replacing your roof. Do not make the costly mistake of thinking premature roof replacement is the only way to restore your home’s beauty. 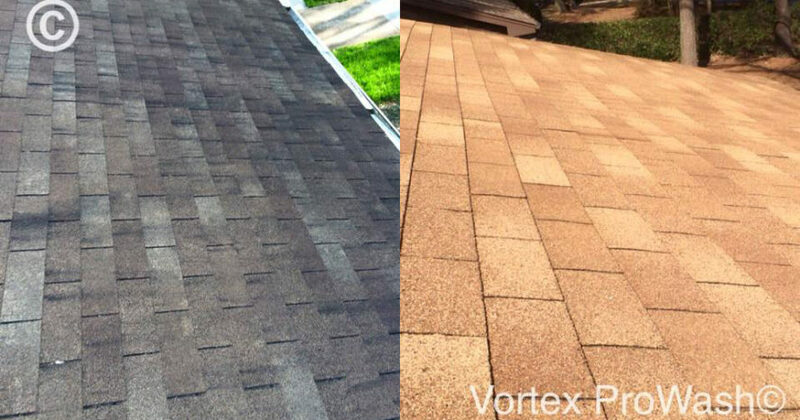 Call the power washing pros at Vortex Pro Wash instead! We proudly serve the Raleigh, Cary, Apex, and surrounding areas in NC.